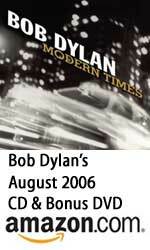 Apple’s latest iPod/iTunes television advertising campaign is centred around the launch of Bob Dylan’s new album, “Modern Times”. 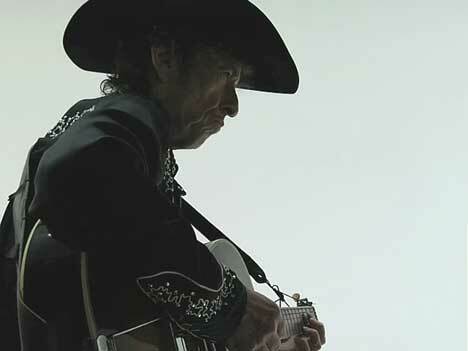 Bob Dylan, dressed in black and playing an accoustic guitar, sings an excerpt from “Someday Baby”, with the usual ipod-wearing silhouetted dancer. 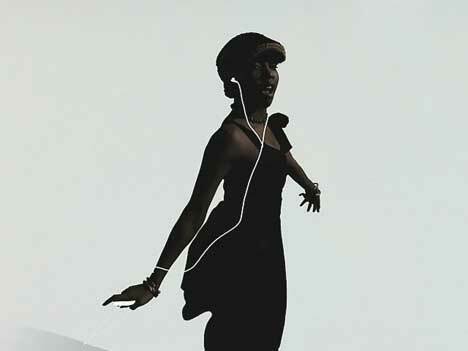 The spot finishes with a white Apple logo on a black background. The Acoustic ad was developed at TBWA\Media Arts Lab, Los Angeles, by chief creative officer Lee Clow, executive creative director Duncan Milner, creative director Eric Grunbaum, agency producer Serena Auroux. Filming was produced at Logan by producer Kevin Shapiro, director of photography Roman Jakobi, FX creative directors Alexei Tylevich and Ben Conrad. Editor was Glenn Martin at Nomad. Telecine was produced at Company 3.